Body & Soul. 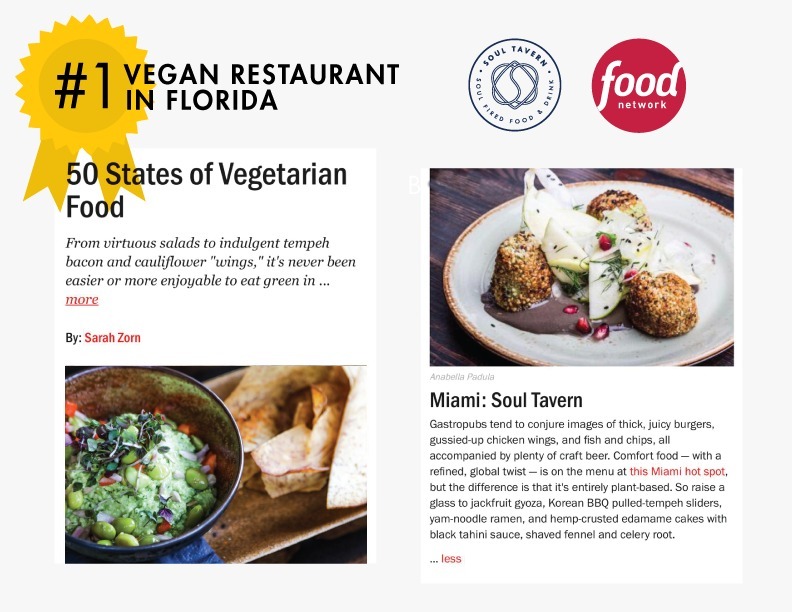 Offering a luxe (if laid-back) introduction to vegetarian cuisine, plant-based pub Soul Tavern offers a poignant counterpoint to the more mainstream meat-manic menus of our city's finest restaurants. While decadence may reign supreme in Miami, this restaurant's aim is more down-to-earth form of holistic nourishment. Sunset Harbor's popular Vegetarian Gastropub is Serving Herbal Chinese Teas that heal the body from the inside out. Soul Tavern, exquisitas tapas y platos veganos para compartir.